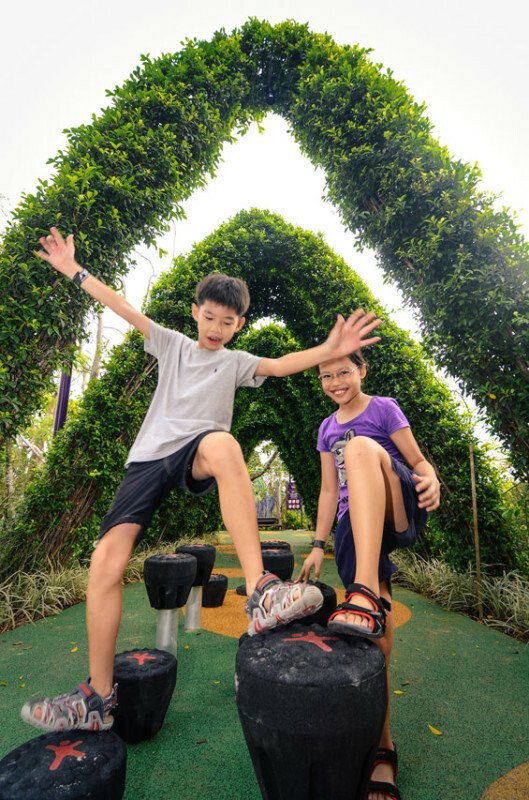 The new Far East Organization Children’s Garden opened yesterday (21 January), at Singapore’s Gardens by the Bay designed by Grant Associates. A major new feature of the 54 hectare Bay South Garden, the Far East Organization Children’s Garden will offer a one-hectare mix of play experiences for all ages, including water play, rainforest tree houses, ridge top trails and topiary pergola arches all in a special garden setting overlooking the Marina Reservoir. 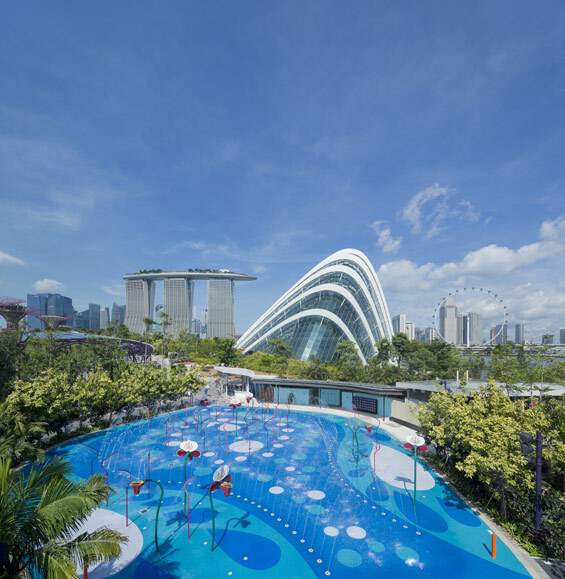 WLA spoke to Andrew Grant from Grant Associates about this new feature at Gardens by the Bay. 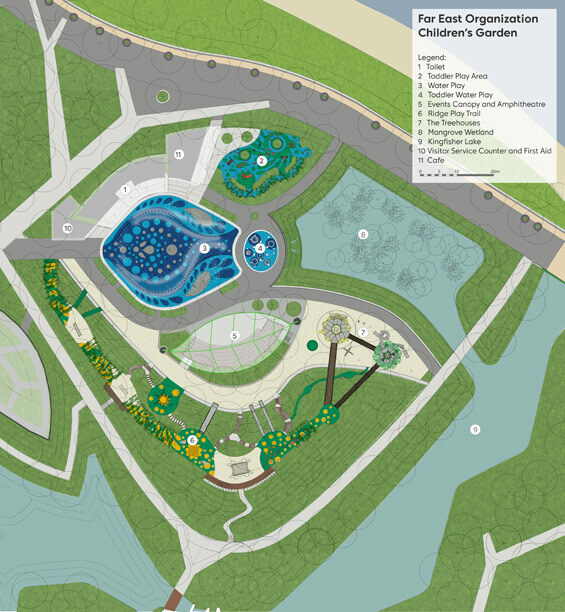 WLA: Designing a space like the Far East Organization Children’s Garden must have been fun. As designers what was the fun part of the process of designing the garden? 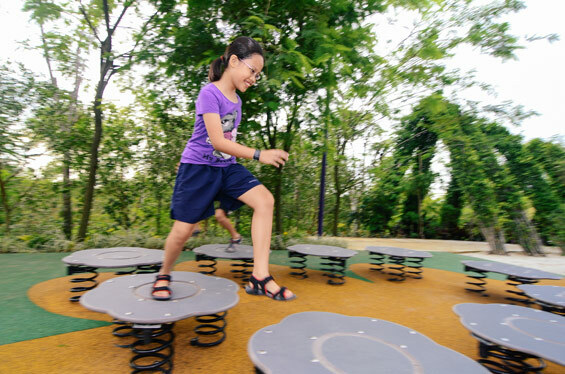 Andrew Grant: To have the opportunity to develop a bespoke play space is a pretty special task in this age of off the shelf play packages, play equipment and risk management. We have had enormous fun imagining new play challenges and ideas for this project, not all of which found their way into the final scheme. Andrew Grant(cont’d): The ideas for the Play Garden evolved over a long period but the vision from the start was to deliver a playful environment for a wide age range that evoked the magic of the rainforest. Grant Associates are not specialist play designers and perhaps the greatest fun and reward has been the opportunity to work with some very creative play designers and contractors. From an early stage we knew we needed extra skills and asked Howeler and Yoon from Boston to help us with some concepts for water play. We then engaged with the local play contractors Playpoint and CT – Art who each brought additional ideas to the table. Playpoint introduced Carve from the Netherlands who took some of our early ideas for Treehouses and turned them into the unique play experiences you see today. Additional delight is added by the bespoke sculptures commissioned by the client. 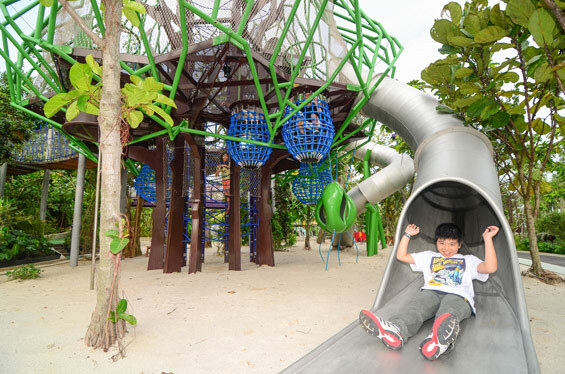 Throughout the process the Gardens by the Bay horticulture team were pushing forward with a highly immersive and playful planting concept to create shade and scale to the play areas. It was great to see huge Fig trees with masses of aerial roots added into the experience along with the ideas for topiary arches to define play tunnels. WLA: Are there water efficient processes or treatments integrated into the design? Andrew Grant: The general planting and hard paved spaces in the play area are part of the site wide water sensitive urban design strategy with drainage run off collected into the site wetlands, filter beds and soakaways. 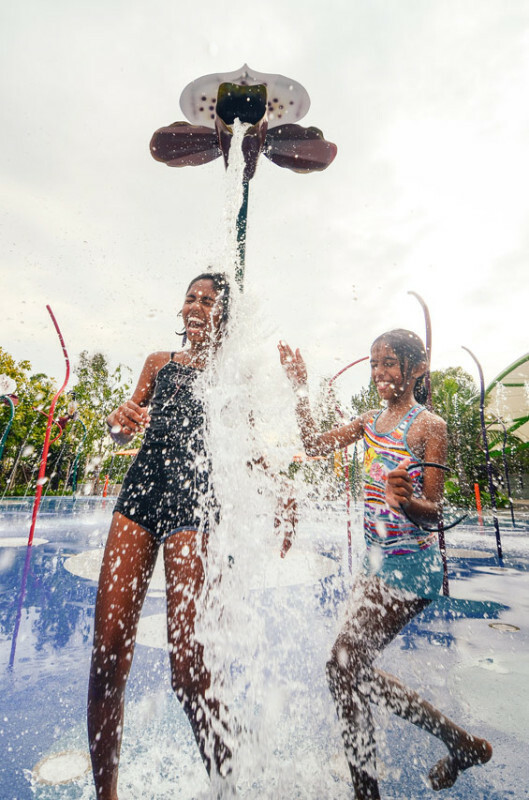 The water play features are subject to the stringent health and safety requirements of the local Authorities in terms of water quality. 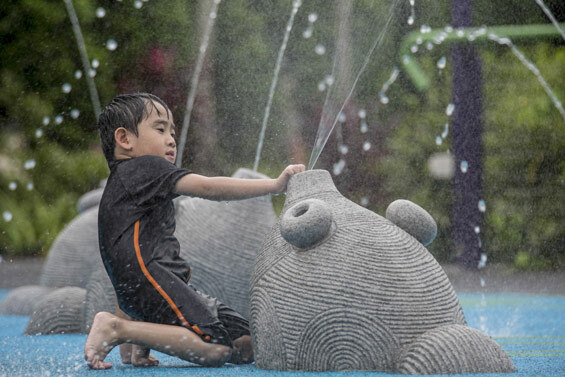 The Water Play is the centrepiece of the Far East Organization Children’s Garden. 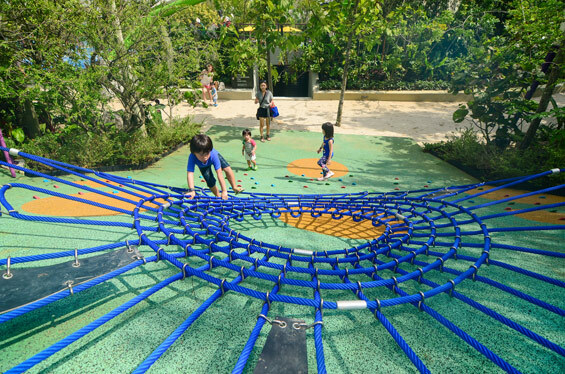 Modern water play technology, including Hydro Vaults, Water Splines and orchid-shaped splash buckets, creates an ever-changing interactive landscape of water tunnels, water mounds and waterspouts. For the toddlers, there is the Fish Fountain with fish sculptures for the young to clamber over. Two treehouses set within a thicket of rainforest trees including quick growing Ficus brings a sense of adventure and close contact with trees. Elevated platforms and shelters linked by ropewalks, steps, ramps and slides include devices for making sounds, telescopes, climbing nets and hammock seating. 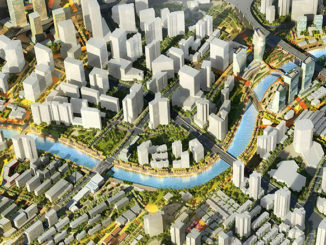 The edge of the Far East Organization Children’s Garden follows a ridge of elevated ground that overlooks the Kingfisher Lake to the south and the Marina Reservoir to the north. A series of topiary pergola arches echo the parabola arch geometry of the ‘Hydro Vaults’ in the water play space. 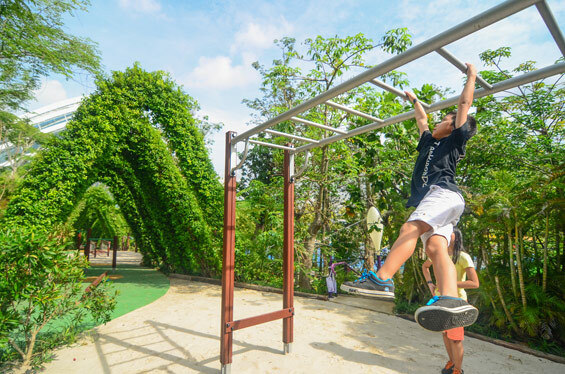 Beneath the pergola is a linked series of balancing, clambering, swinging and climbing elements to allow children the opportunity to enjoy a different type of forest trail. Shade is an important ingredient of the Play Area. A leaf-shaped canopy structure provides shelter from the rain and hot sun reaching over an outdoor amphitheatre formed by stepped granolithic finish concrete benches, which will serve as a venue for different garden functions and events.